#TargetMalaria plans to introduce genetically modified mosquitoes to a remote village in Burkina Faso. Why do we need to be concerned? Aedes Aegypti Mosquito. Image credit Prof. Frank Hadley Collins for the CDC via Public Health Image Library. Few people need convincing that malaria is a deadly and terrible disease. The World Health Organization estimates that half of the world’s population is at risk, with 445,000 deaths recorded in 2016, most of which were in Sub-Saharan Africa. Young children and pregnant women are particularly at risk in areas with high transmission, and, although malaria has been on the global radar for decades, the World Health Organization recently noted a “troubling shift in the trajectory of the disease” with progress in reducing transmission and fatalities having stalled at the end of 2016. Prevention and treatment methods have included insecticide treated mosquito nets, sprays, and anti-malarial drugs. Now, proponents of a new technology claim they can supposedly eliminate the disease at its source, in the very DNA of malaria-transmitting mosquitoes. It sounds fictitious, but that is the objective of Target Malaria, a research consortium that receives its core funding, $92 million, from the Bill and Melinda Gates Foundation and from the Open Philanthropy Project, funded largely by Facebook co-founder Dustin Moskovitz. Target Malaria claims that there is a consensus “that new tools are needed to eliminate malaria.” Their “new tool” is a gene drive, a speculative technique intended to engineer the genetics of entire populations of the malaria-transmitting Anopheles gambiae species by a single release of an organism with engineered genes. Target Malaria aims to create strains of genetically modified female mosquitoes: essential genes for fertility are cut, preventing them from having female offspring or from having offspring altogether. These modified mosquitoes will be rigged to then pass on their genes to a high percentage of their offspring, supposedly spreading auto-extinction genes throughout the population. Target Malaria’s project focuses on four countries: Burkina Faso, Mali, Uganda and Kenya. The project is most active in Burkina Faso: in 2016, genetically modified mosquitoes were exported to the country from Imperial College in London for contained experiments, with approval from the National Biosecurity Agency. The Institut de Recherche en Sciences de la Santé (IRSS) in Burkina Faso, part of the Target Malaria consortium, plans to release the GM mosquitoes into the environment between July and November 2018 in one of three villages of Bana, Pala ou Sourkoudiguin. The consortium says it is planning a phased approach; in the first phase, it will release 10,000 “male-sterile” (non-gene drive) mosquitoes; in the second, another non-gene drive mosquito will be released into the open, to bias the mosquito population to be male only; in the third and final phase, the gene drive mosquitoes will be released, involving either male bias or female infertility. International media coverage of Target Malaria’s project has been substantial, revealing the ubiquitous technophilia that characterizes so much of today’s responses to these kinds of new innovations. Little of this coverage however, has looked at who is behind research on gene drives or questioned their premise. The gene drive files, a trove of emails and records discovered by civil society organizations and released in December 2017, reveal that it is in fact the US Military that has taken the lead in pushing forward research on gene drives. According to the records, The US Defense Advanced Research Projects Agency (DARPA) has given approximately $100 million for gene drive and related research, making it the largest funder of gene drive research, and it “either funds or coordinates with almost all major players working on gene drive development as well as the key holders of patents on CRISPR gene editing technology.” The files also uncovered “an extremely high level of interest and activity by other sections of the US military and intelligence community” in gene drives. It’s not just the US Military that was subjected to scrutiny: the gene drive files found that a gene drive “advocacy coalition,” was run by a private PR firm that received $1.6 million in funds from the Bill and Melinda Gates Foundation and seem to have used covert lobbying tactics to influence UN discussion on gene drives. And while Target Malaria has emphasized their independence from any military agendas, it has since become apparent that Target Malaria’s Andrea Crisanti, who developed the modified mosquitoes at Imperial College is also funded by DARPA’s Safe Genes project. If the source of funding for Target Malaria’s experiments and their relationship to DARPA is not worrying enough, there are myriad other reasons to be wary of gene drive technologies, however well-meaning the target. For one thing, gene drives rely upon the new and poorly understood gene editing technique CRISPR-Cas9. Many of the consequences of such gene editing techniques are yet unknown. The short sighted hubris of altering wild insects populations is also cause for concern. It is a tendency of science and research in the Western world to treat issues in isolation, as if one part has no relationship to larger webs of complex interconnection. Although controlling mosquitoes is supposedly about one strain of a single species, scientists have warned that there are dangers in the unintended consequences of altering one part of a complex ecosystem—a decrease in one species for instance often leads to an increase in another or a loss of important functions (such as pollination), or alternatively, a gene drive could spread between species causing potentially devastating effects. These are not just hypothetical concerns. 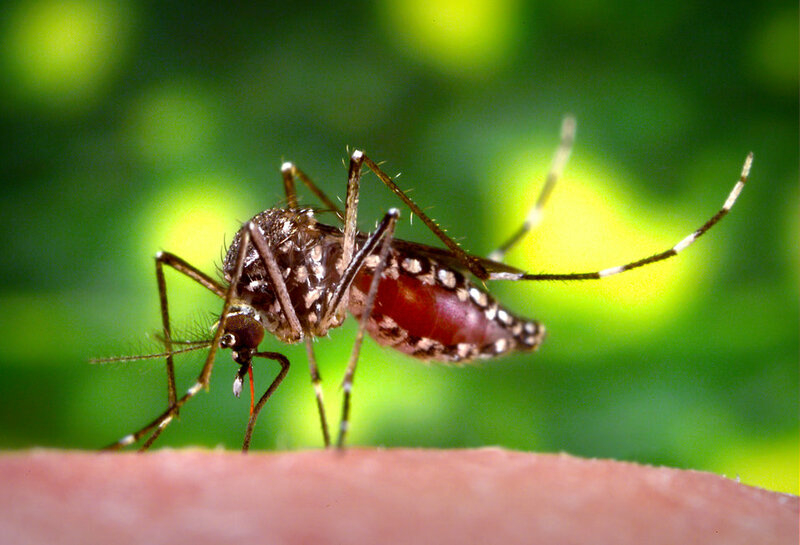 In Panama for instance, following programs that targeted Aedes agyptae mosquitoes using fumigation methods and limited releases of GM mosquitoes by UK Biotech company Oxitec, there was a rise in numbers of the Asian Tiger mosquitoes. Simple evolution is very likely to outwit too-clever-by-half schemes. Edward Blumenthal, the Chair of Biological Sciences at Marquette University has noted that the anopheles mosquito species may develop a mutation (a phenomena known as ‘gene drive resistance’ is already being noted), preventing the gene drive method from working, or the malaria parasite could find a different host. Researchers have also warned that “a gene drive would be remarkably aggressive,” likely giving rise to invasive species and that real world experiments are “extremely risky.” And, even when a gene drive is applied in one country, neighboring countries would become part of the experiment, “whether they like it or not.” Gene drives and winged insects do not respect national borders. In addition to impacts on natural ecosystems, there are the very real fears of how gene editing technologies will fare in a world characterized by widening inequalities, violence and warfare in many countries, ecological crises, and a rise in far-right and fascist movements. In today’s social and political climate, being able to genetically engineer undesired species seems just a few steps away from the possibilities of eugenics and certainly opens the way to hostile uses against food sources. The US President’s Council of Advisors on Science and Technology warned the White House directly about the possibility of editing genes and turning viruses or infectious agents into diseases for which no treatment exists. Within Burkina Faso, a number of groups have been mobilizing in opposition to Target Malaria’s project. This is not the first time Burkina Faso has experimented with genetic modification: In 2008, when the country’s cotton crop was being devoured by pests, it introduced GM seeds for BT cotton produced by Monsanto (now Bayer). The resulting cotton was pest free but of lower quality. As the GM cotton lost its premium pricing, the impact was a drop in the value of its output. On June 2, 2018, the organization Collectif citoyen pour l’agro-écologie, together with hundreds of peasants and farmers gathered in Ouagadougou, holding banners that said: “Stop and desist: GMO, BT cowpea, genetically modified mosquito,” and “Monsanto, Target Malaria and Bill Gates: respect Africa’s right to self-determination.” These groups want the risks of GM technologies to be properly evaluated and a moratorium on gene drives put in place in the meantime. Leaving aside the problem of the unintended consequences of the released mosquitoes, there are also enormously unequal power dynamics at play in which a consortium funded mostly by powerful foreign institutions is introducing a new technology developed in a lab in the UK to be released in a rural community in West Africa. It is not surprising that the group COPAGEN, (Collective pour la protection du patrimoine génetique Africain), has publicly denounced Target Malaria’s use of Burkina Faso for its experiments saying that “Burkinabes are being used like guinea pigs” and has appealed to the National Centre for Biosecurity not to authorize the release of the mosquitoes. Indeed, although Target Malaria has insisted that it works with local communities and obtains their consent before releasing the mosquitoes, it is difficult to see how is possible if, as a few people have pointed out, there reportedly exists no word for a “gene” in local languages. Interviews with inhabitants of the targeted villages indicate that their inhabitants do not really understand how the gene drives work. Gene drive technology is already very difficult for a general public to understand, let alone rural communities who may not have sufficient information about the origins and details of malaria transmission. What in that case constitutes consent? Groups including Third World Network, the African Centre for Biodiversity and ETC Group state that this is a particularly important issue given that Burkina Faso’s biosafety regulation does not have specific guidance for conducting risk assessment for GM mosquitoes, and it is unclear what kind of public consultation is required. Bringing these concerns to the forefront of high level negotiations around gene drives has been challenging for civil society groups. Last month in Montreal, at the Subsidiary Body on Scientific, Technical and Technological Advice (SBSTTA-22), where government delegates from around the world meet to discuss key issues on biodiversity, the Target Malaria consortium had a representative, Elinor Chemonges, whose role was simultaneously to represent the government of Uganda in a clear conflict of interest. Target Malaria resembles many of the technical “solutions” that western philanthropists and multinational corporations come up with to solve the social and environmental problems facing our world: from schemes like carbon credits designed to remove carbon dioxide from the atmosphere, to geoengineering projects to solve climate change (which Bill Gates has also incidentally invested in), there is no shortage of speculative technical fixes presented to solve myriad serious problems that we are faced with today, and which obviate the need to deal with their structural causes. It is noteworthy that Paraguay, and before that, Sri Lanka, eliminated malaria entirely without western scientists in lab coats fidgeting with mosquito DNA. The World Health Organization predicts that Algeria, Argentina and Uzbekistan could be malaria-free later this year. If such strides are currently being made, imagine what possibilities exist if an equivalent sum to $92 million were spent strengthening public health care systems in West Africa, as well as tracking malaria cases and preventing outbreaks, as was done in Paraguay. If there are any lessons that as Africans we should learn from the past, it’s to be wary of technological interventions that claim to be saving African lives, especially when they are supported and funded by, among others, wealthy western philanthrocapitalists and the US Military. The hubris of western neoliberal capitalism and its attendant belief that we can master and control nature without end is in large part to blame for the current social and ecological crises we are in today. The only way out of these crises, whether it is climate change or malaria, is to dismantle this very ideology, to create space for indigenous science and knowledge in the path we forge toward the future, and to consider the existing solutions that have been there all along.